Acer has unveiled a triumvirate of new tablets this week, showcasing 7- and 10-inch Android tablets and a 10-inch Windows 7 tablet. The computing company took to the stage in New York to show off its new tablet range, while also delivering news of its dualscreen tablet — the Acer Iconia. The smallest tablet announced is the 7-inch Android device. The screen boasts a resolution of 1280 x 800, is 16:10 and has full touch capabilities. It has a front-facing camera and a dual-core processor. This means that Adobe Flash 10.1 is supported. The tablet comes with both Wi-Fi and 3G connectivity and there's DLNA connectivity on board. 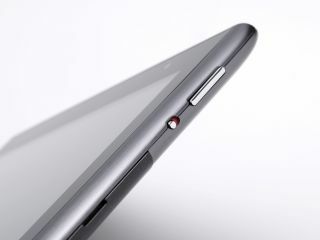 The 10.1-inch Android tablet has a full capacitive screen, boasts Wi-Fi and 3G connectivity and is just 13.3mm thick. There is also an HDMI port on board and 1080p playback. For gaming, there is a gyroscope on board and Acer is guaranteeing you will be able to play games on the device that are "an entertainment experience on par with the best game consoles". Finally, there is the 10.1-inch Windows tablet. This has a full-size keyboard, a docking device, is only 15mm in depth and weighs less than a kilo. The tablet has a next-gen AMD chip inside and is boasting "a superior touch experience". There are also two 1.3MP cameras, one rear and one front-facing, on board. This is topped off with 3G and Wi-Fi connectivity. The Acer 7-inch tablet and Acer 10-inch tablet have a UK release date of April 2011, which means it's likely they'll be running Android 3.0. The 10.1-inch Windows tablet has a UK release date of February 2011. Pricing for all of the devices is to be confirmed.